Studies show that eating orange-colored vegetables and fruits may help fend off cancer and heart disease while protecting your vision, immune system, and skin. 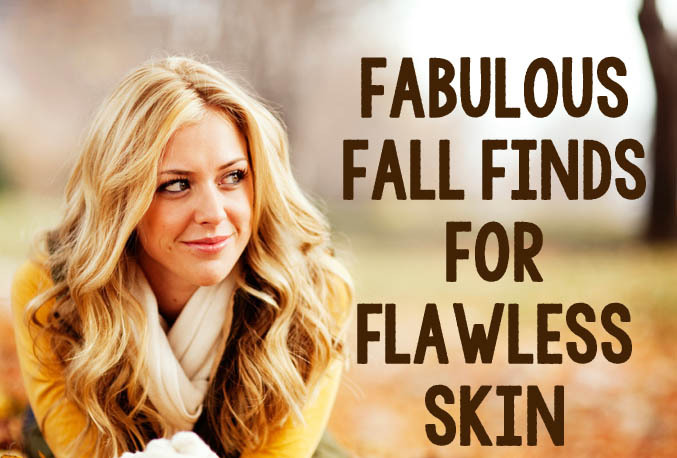 These fabulous fall finds promote flawless skin, and also prevent cell damage from oxidation that occurs with aging and long-time exposure to environmental pollutants. PUMPKIN YOU’RE WAY TO YOUR BEST SKIN EVER. Pumpkin has a high content of vitamin A, retinol, and beta-carotene, which help prevent wrinkles and aging skin. Pumpkin is also high in vitamin B3 – great for dry skin. It also inhibits the transfer of pigment to skin cells, minimizing dark spots. Vitamin B3 increases production of both fatty acids and ceramide. These two key components keep the protective barrier of your skin strong so that it can keep moisture in. Whether eating it or using it as a facemask, pumpkin can help you get your best skin ever! Pumpkin is a good source of Vitamin E (Alpha Tocopherol), Thiamin, Niacin, Vitamin B6, Folate, Iron, Magnesium and Phosphorus, and a very good source of Dietary Fiber, Vitamin A, Vitamin C, Riboflavin, Potassium, Copper and Manganese. SKIN CARE FROM THE HUMBLE PUMPKIN SEED.Don’t let the pumpkin seeds go to waste – they are a great source of vitamin E. They have the most diverse forms of vitamins, including alpha-tocopherol, gamma-tocopherol, delta-tocopherol, alpha-tocomonoenol, and gamma-tocomonoenol. They are also loaded with zinc, vitamin E, sulfur, and omega-3 fats; the seeds heal, nourish, restore, and hydrate the skin. They can also repair blemish marks when you've had a breakout. BUT MAKE SURE TO EAT THEM RAW! Their delicate fats are destroyed when exposed to too much heat. Eating pumpkin seeds should be a crucial part of your skin care routine. Pumpkin are a good source of Vitamin K, Iron and Copper, and a very good source of Magnesium, Phosphorus and Manganese. CARROTS FOR YOUTHFUL AND VIBRANT SKIN.The high level of beta-carotene in carrots acts as an antioxidant to cell damage done to the body through regular metabolism. It help slows down the aging of cells. Vitamin A and antioxidants in carrots protects the skin from sun damage. Vitamin A prevents premature wrinkling, acne, dry skin, pigmentation, blemishes, and uneven skin tone. Make a mask out of carrots for a natural cure for blackheads, wrinkles, uneven pigmentation, and dark spots. Simply boil carrots till soft then mash. Add in honey, olive oil and lemon. Leave on the face for about 15 minutes and rinse. Carrots are a good source of Thiamin, Niacin, Vitamin B6, Folate and Manganese, and a very good source of Dietary Fiber, Vitamin A, Vitamin C, Vitamin K and Potassium. BEAUTY FOR THE INSIDE AND OUT. Not only does warm winter squash have a delicious, nutty, and sweet flavor, but it is also bursting with beta-carotene. Winter squash is also high in vitamins A, C, zinc, iron and fiber – but happily isn’t high in calories. With only a 1-cup serving, you get nearly half the recommended daily dose of antioxidant-rich vitamin C. Winter squash also helps brighten, heal, and protect your skin from free radicals. To use it as a mask, simply mix 1 raw egg, 1 cup of cooked butternut squash, and a squirt of honey. Leave on for 10-20 minutes and rinse off with warm water. This mask works like a scrub to exfoliate without being abrasive, while also hydrating, and gently dissolving dead skin cells. Winter squash is a good source of Vitamin E (Alpha Tocopherol), Thiamin, Niacin, Vitamin B6, Folate, Calcium and Magnesium, and a very good source of Vitamin A, Vitamin C, Potassium and Manganese.